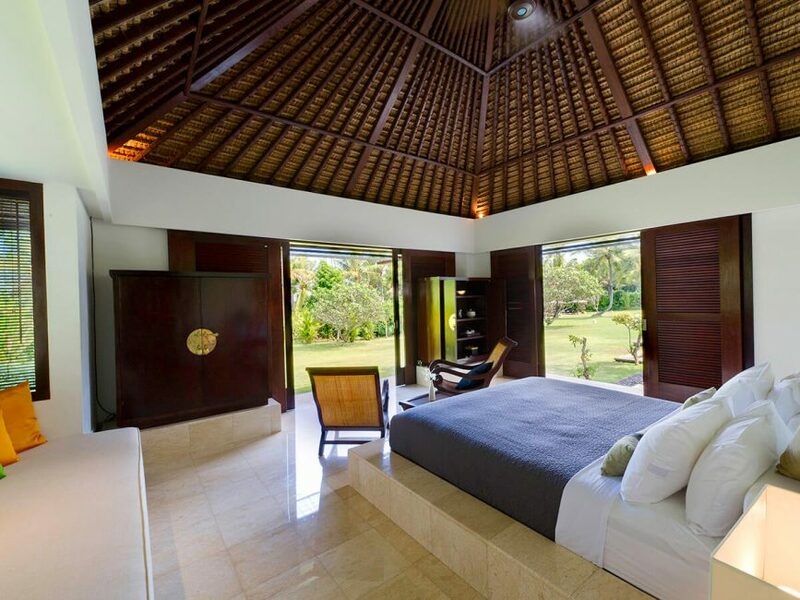 Kailasha means ‘Paradise of the Gods’ and this stunning three-bedroom villa certainly lives up to its name. 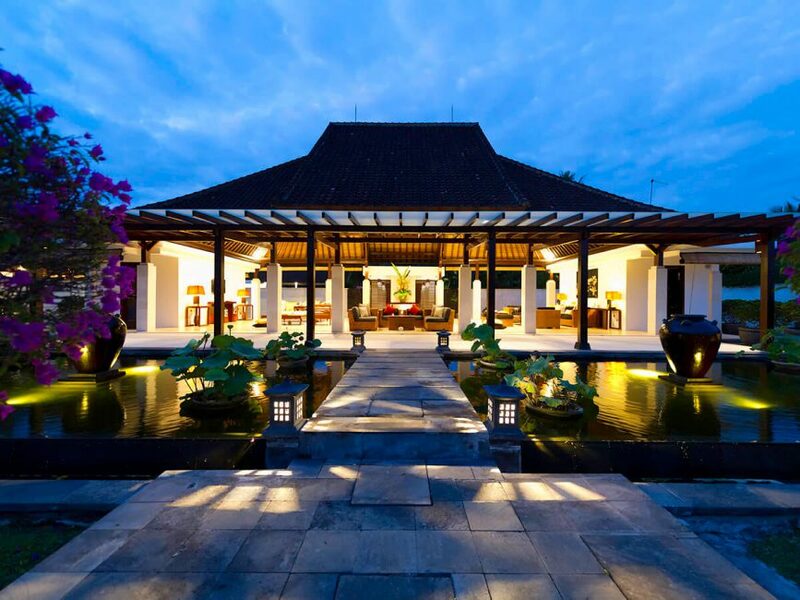 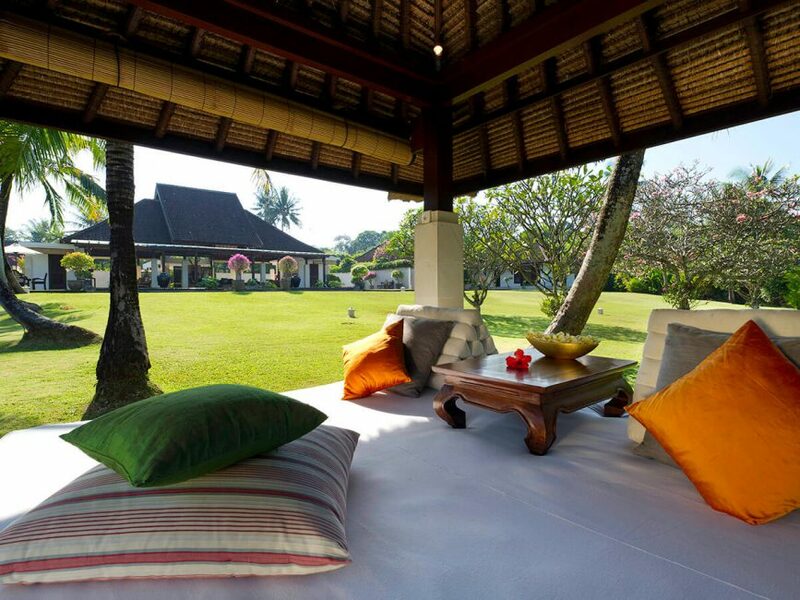 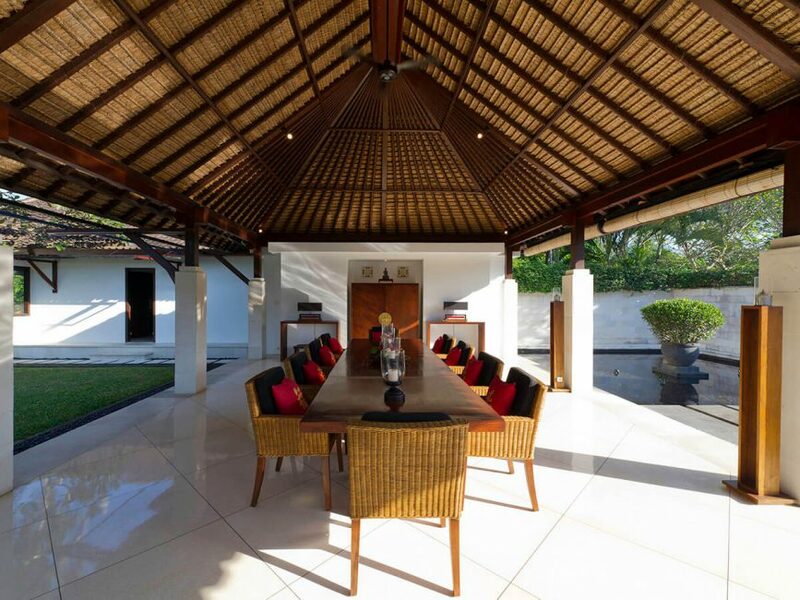 Villa Kailasha rests upon an expansive beachside property in Bali’s fertile Tabanan region. 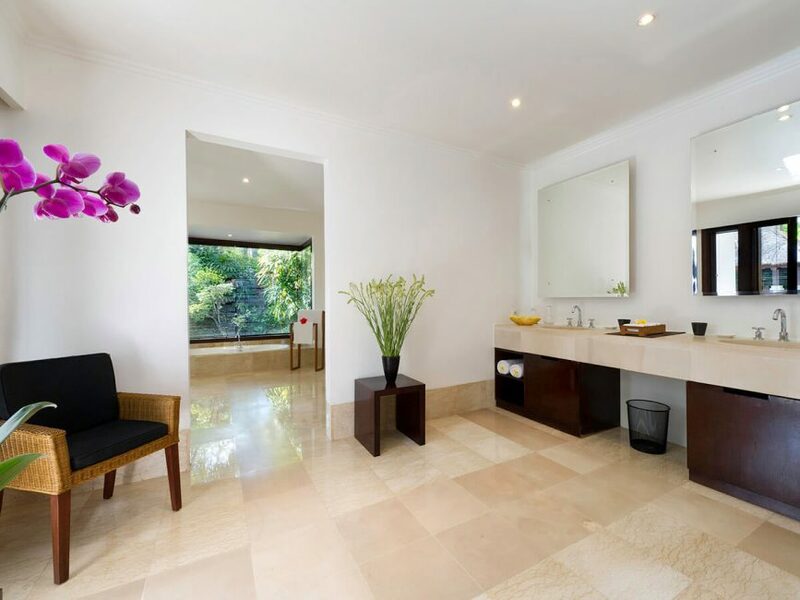 Offering a complete escape from the hustle and bustle of Bali’s tourist traps, Villa Kailasha charms guests with classic architecture, stylish interiors, lush tropical gardens, modern and comfortable facilities and an extraordinary amount of private space, complemented by a full team of caring staff who will attend to every need. 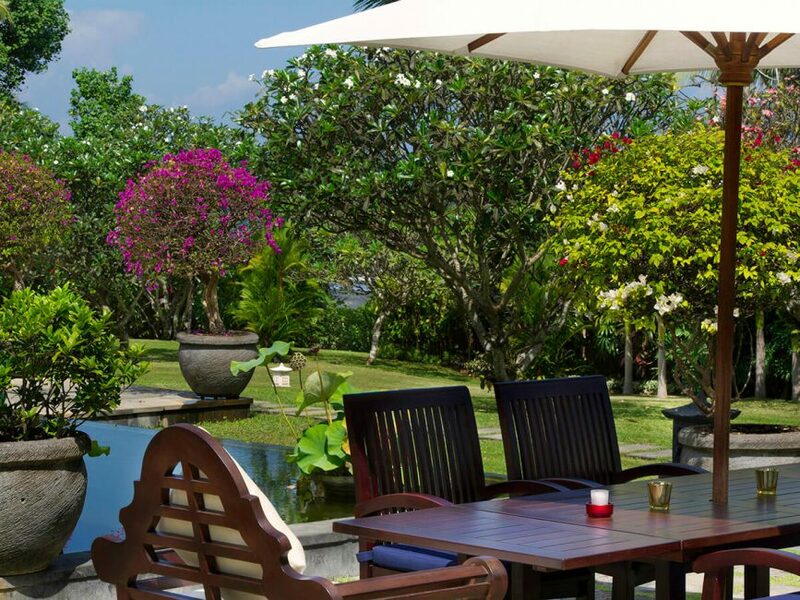 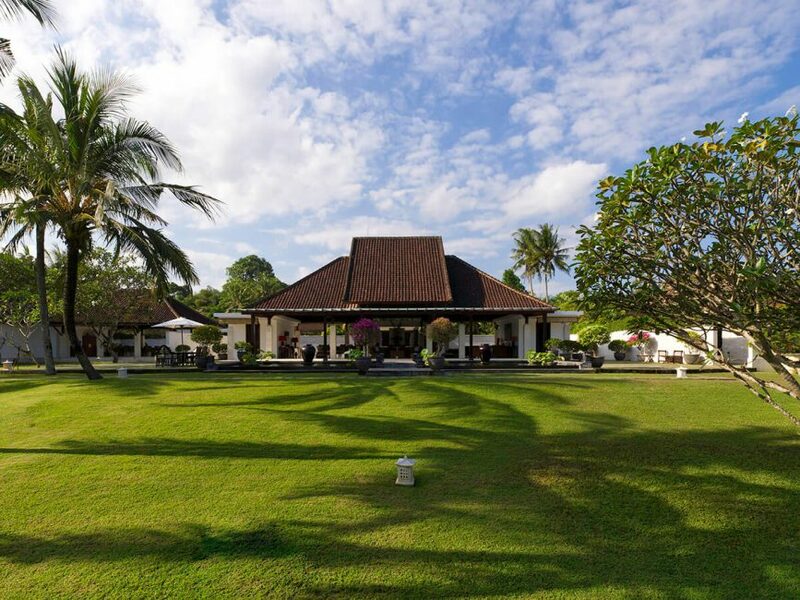 The five-star service is enhanced only by the stunning views of the Bali Strait and the glistening black-sand beach just beyond the garden wall. 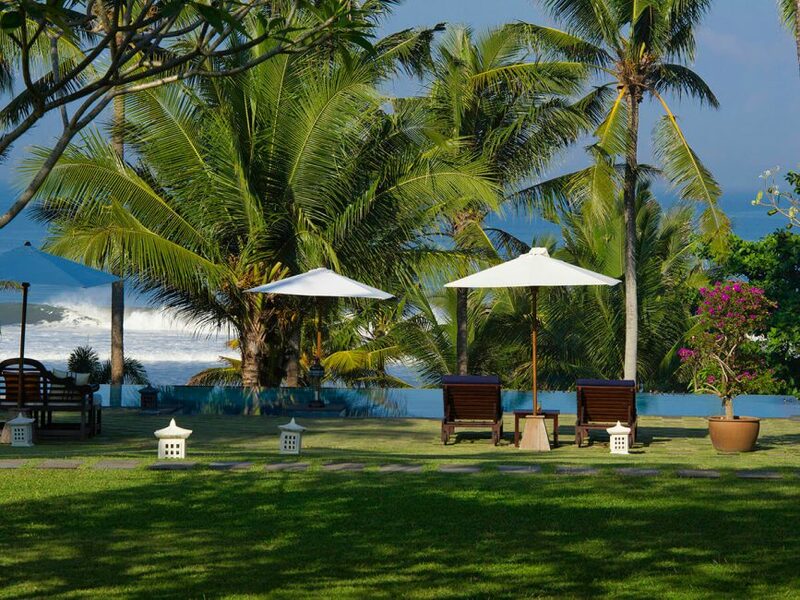 Guests can expect a relaxing, pampering and nurturing holiday at Villa Kailasha while being lulled to sleep by the soothing sound of the ocean waves. 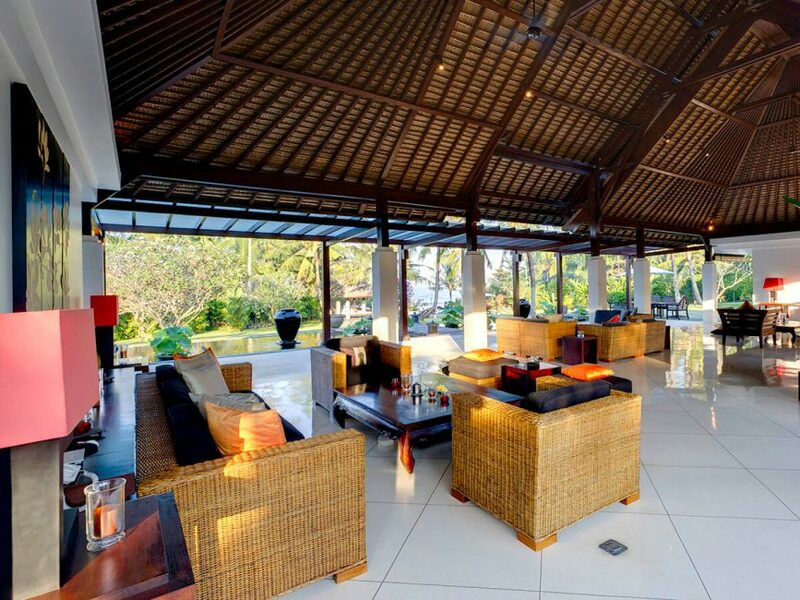 The villa’s comfortable living pavilion, a stand-alone dining pavilion and a separate dining terrace all stand open to the gentle trade winds and dramatic ocean views. 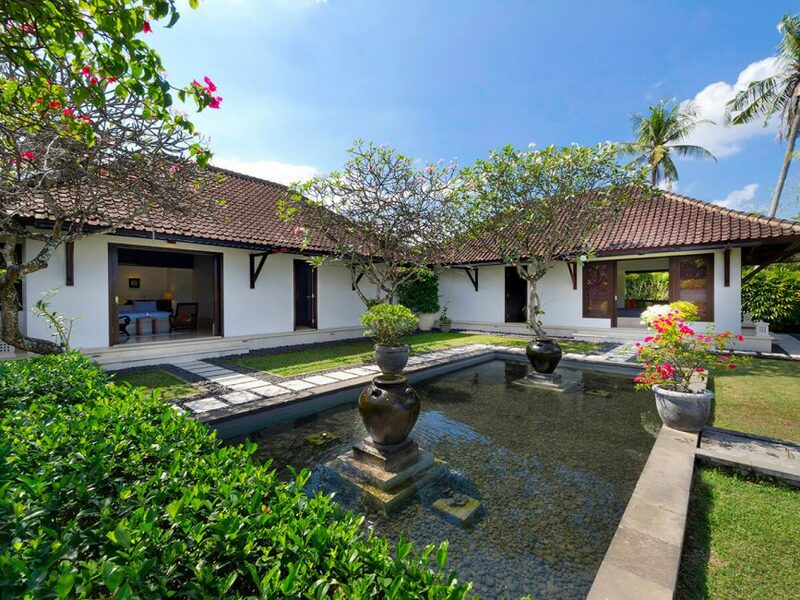 With its series of single-storey pavilions leisurely spread across the breadth of a terraced coconut grove garden, its elegant interiors and its blend of modern, antique and Dutch-colonial-inspired furnishings, colourful fabrics and artwork, Villa Kailasha embraces contemporary-tropical style. 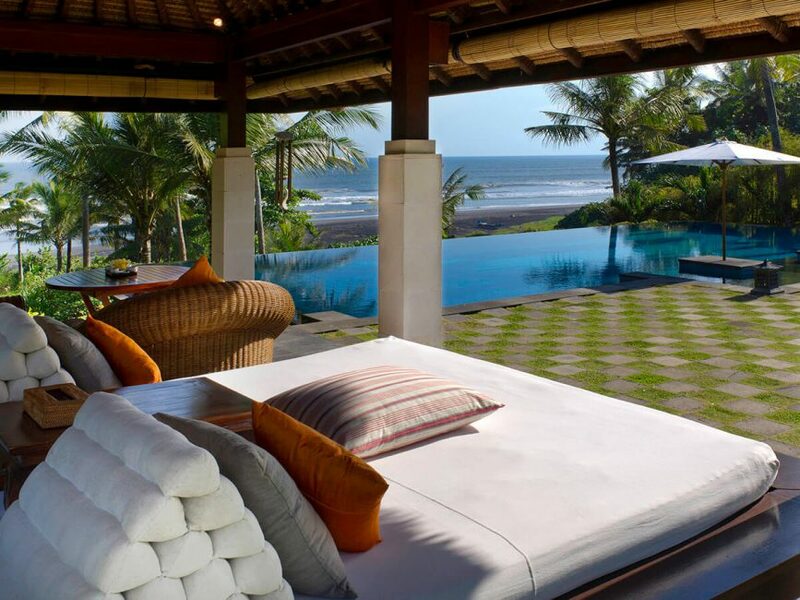 The huge garden rolls down to a dazzling 14-metre infinity-edged swimming pool bordered by a stone and grass deck with an open-sided gazebo to one side, and spectacular views of the rugged surf beach and the ocean, which is a mere three minutes’ walk from the villa’s front gate. 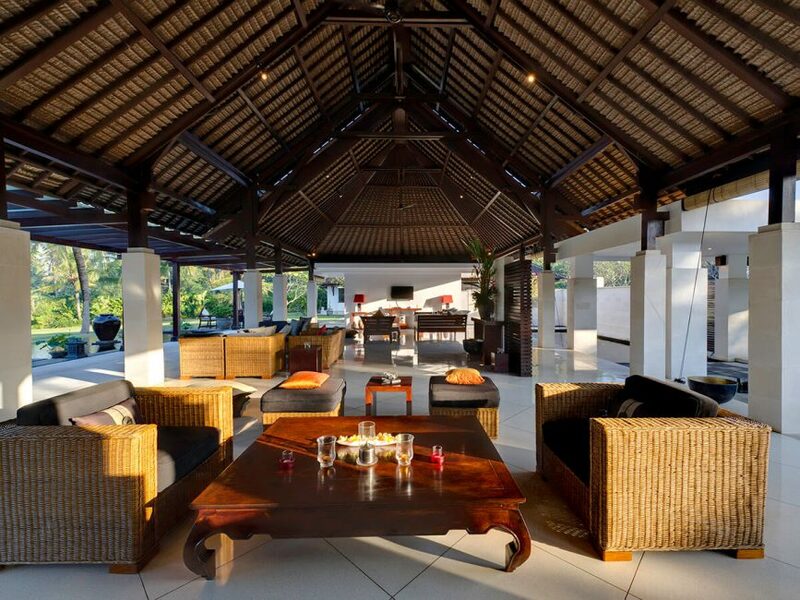 A team of polite, thoughtful staff, including an in-house cook, are on hand to look after every need. 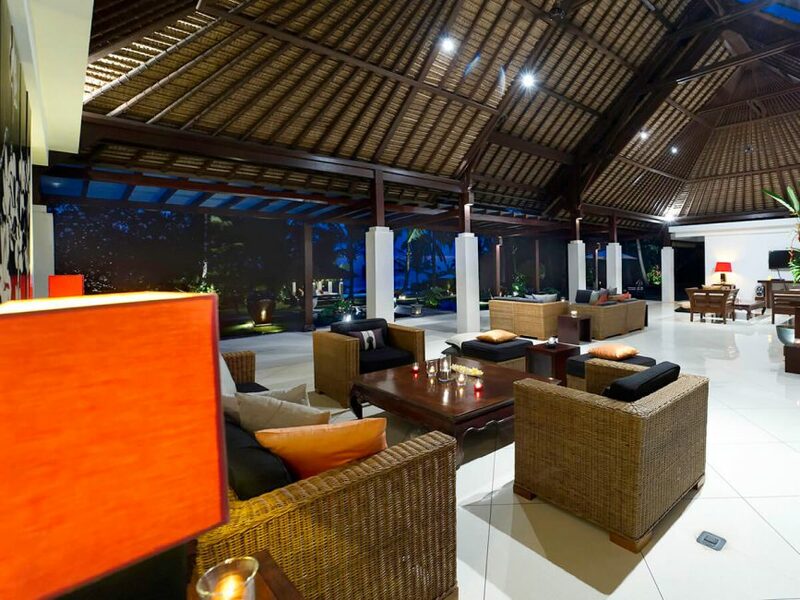 Meanwhile, guests are free to escape to a secluded nook to read, rest and relax, or sip cocktails while gazing from the poolside gazebo at the orange glow of another glorious Bali sunset. 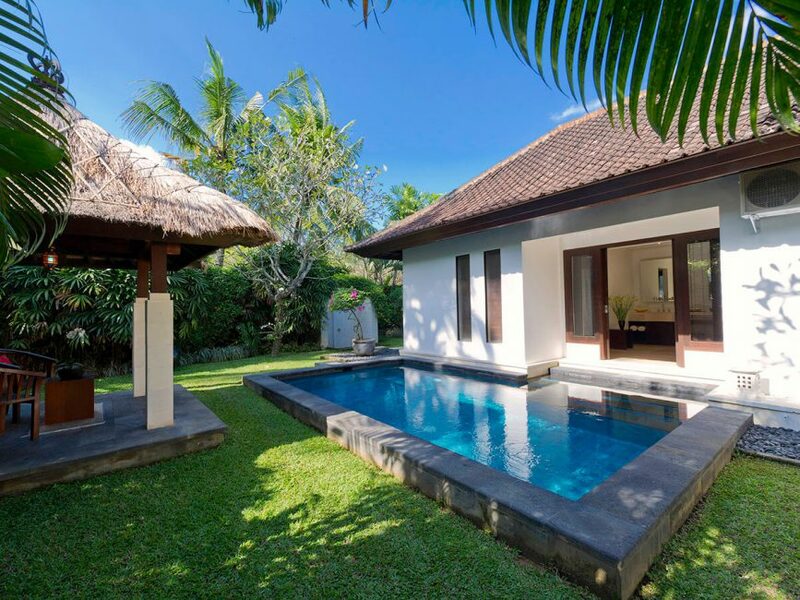 Villa Kailasha is ideal for a family or a small group of friends, while its manicured lawns are perfect for weddings and other celebrations against the awesome backdrop of the sea. 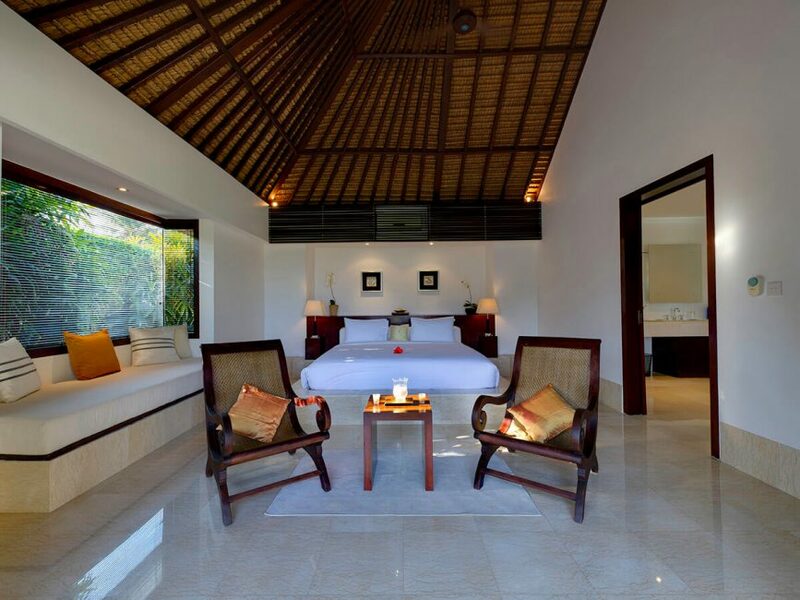 3 extra beds may be set up on request at additional charge. 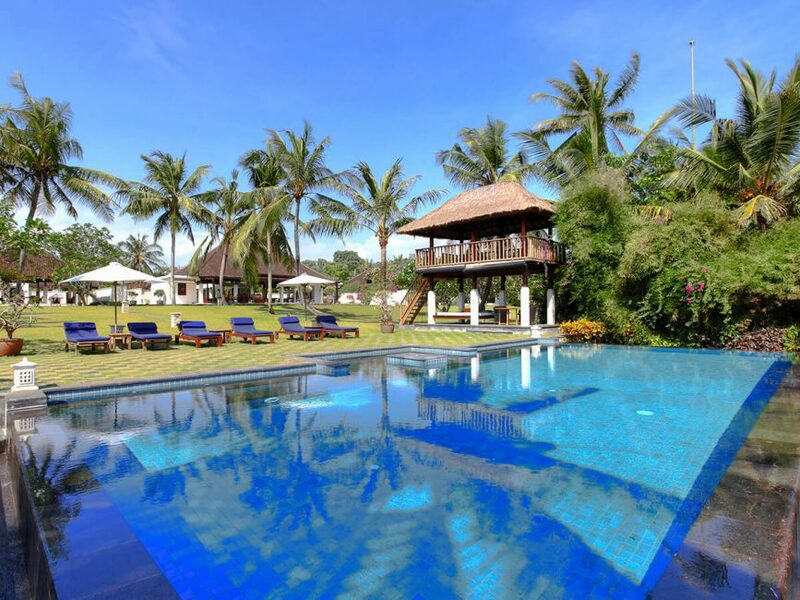 Main pool 14 x 7 meters; Plunge pool 6 x 3.5 meters. 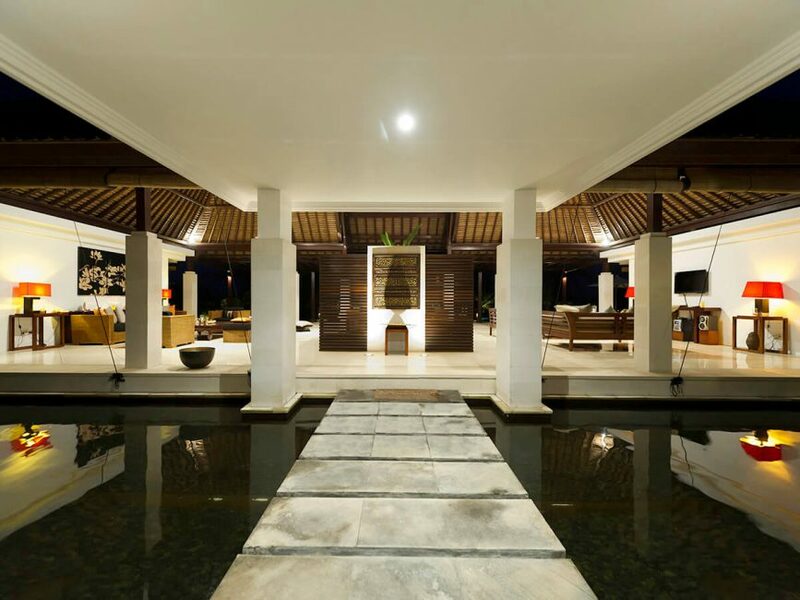 full back-up diesel powered generator. 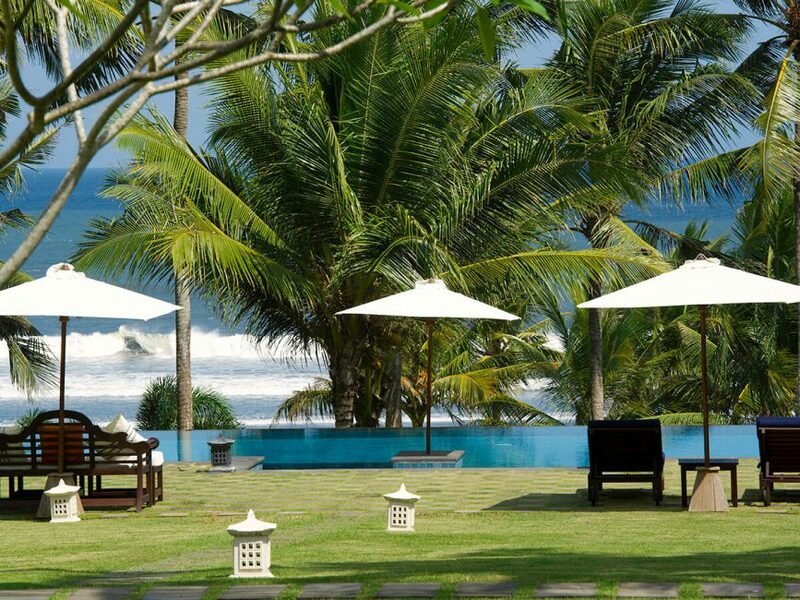 Villa Kailasha is situated a mere three-minute-stroll from Kelating Beach with its sparkling black sands and sweeping coastline views. 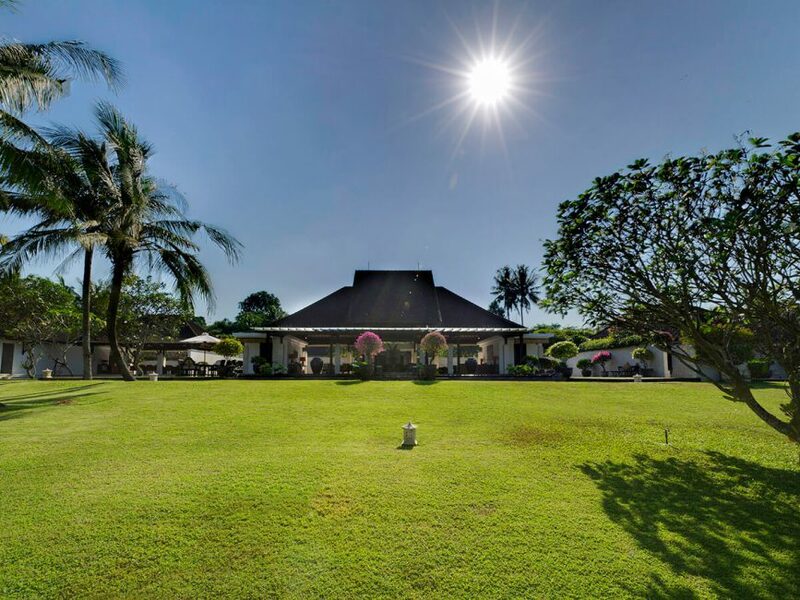 The neighbourhood is the small Balinese village of Dukuh, which is bordered by rice fields for almost as far as the eye can see.